As you may know, there’s more to aircraft cost than just the purchase price of the airplane itself. You’ll need to purchase an insurance policy, hangar or tie-down rental, fuel, oil, parts, and maintenance. And don’t forget the accessories: Passenger headsets and engine covers might seem inexpensive, but these costs add up quickly. Are you a weekend pilot or a business pilot? Do you fly mostly fair-weather flights in the local area, or do you log hours on ​long cross-country flights in instrument meteorological conditions? The type of flying you do will largely determine what kind of airplane you will need and what features and capabilities it will need to have. Every pilot wants a brand new technologically advanced airplane with a great paint job, a high cruise speed, and the latest GPS. But a private pilot that flies a few hours on the weekend won’t see the benefits of higher horsepower and retractable gear. Instead, buying a fast, complex airplane just means a higher price tag (and more costly insurance premiums) for the same type of flying. 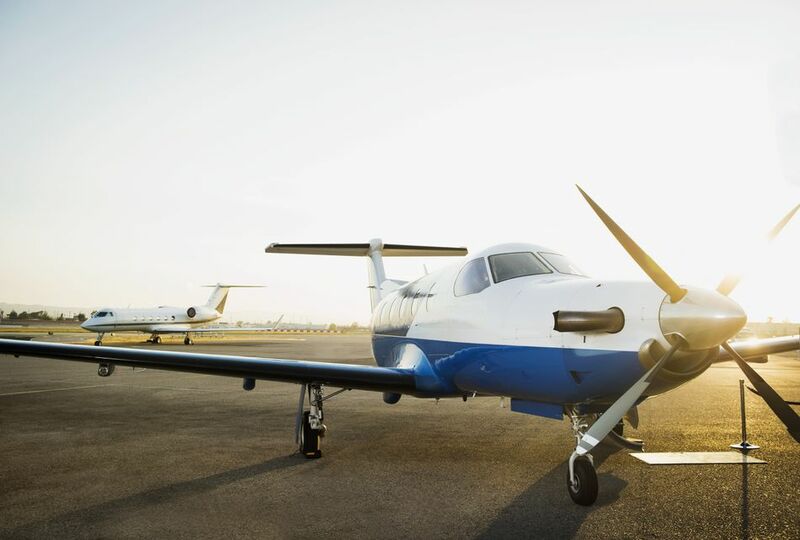 On the other hand, a business pilot, flying cross country three days a week, might find it beneficial to invest in a complex or turbocharged airplane to save time and carry more passengers or cargo. You’ll show a seller that you’re serious when you show up with the financial situation already take care of. The seller will probably be more interested in working with you and you’ll have a peace of mind knowing you will be able to follow through. As a bonus, pre-approval should speed up the closing process. Finding your dream airplane has never been easier. With today’s vast amount of online resources, you can look anywhere for your perfect airplane. While many good deals are still found on your local airport bulletin board, you can usually find a large selection of aircraft for sale on websites or in trade publications like Trade-a-Plane or ​Globalair.com. When you begin to look at and test-fly potential aircraft in person, it would be wise to take along a trusted aircraft maintenance technician or A&P mechanic. They’ll be helpful when it comes to test flying the aircraft, since they know how to look for certain engine and handling characteristics. If you can’t take a mechanic with you on the first visit, make sure you have the aircraft inspected thoroughly at some point before you purchase it. You’ll want to do a thorough preflight inspection yourself, being sure to look for signs of corrosion or other obvious signs of neglect like broken antennas or worn tires. Once you’ve decided on an airplane, you’ll need to spend some time in the books. A careful inspection of the aircraft’s maintenance logs will let you know if it’s been maintained properly, or if there were recurring maintenance problems in the past. Upon completing the aircraft purchase, you will need to register the aircraft in your name. You can transfer the aircraft registration by sending an application, proof of ownership and $5 to the FAA. Finally, you are responsible for the airworthiness of the aircraft once it’s in your hands. The airworthiness certificate will transfer with the sale of the aircraft, but it’s up to you to make sure the aircraft itself is still airworthy. If you’re unsure of the status of the aircraft’s airworthiness certificate after a sale, contact the nearest FAA regional office (FSDO) for more guidance. Maneuvering your way through the insurance process can be a daunting task. While you might want to put this off until the last minute, it might be in your best interest to begin the process sooner rather than later. Insurance companies typically set the requirements and premiums based on the type of airplane and pilot qualifications. So if you know you’ll be purchasing a Cessna 172, you can probably get started with the process of obtaining insurance. Buying an airplane is a lot of work, especially if it’s your first one. It is a good time to call upon your fellow aviators, mechanics and aircraft owners to help. If you’re a member of any professional aviation organizations, review your membership benefits and use the resources that are available. AOPA, for example, is a great resource for aircraft owners. Professional aviation organizations may also offer insurance discounts and other perks that the first time buyer might be interested in.